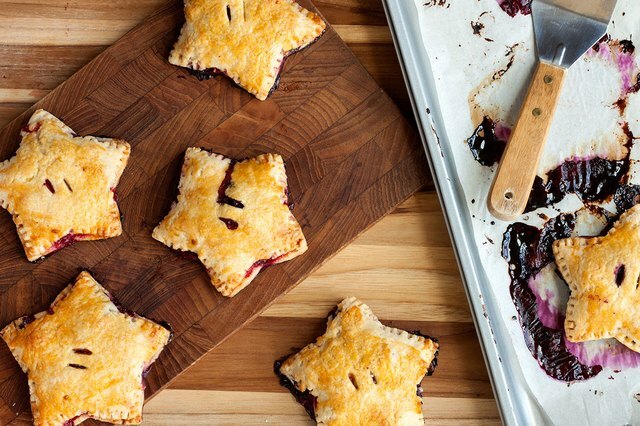 You can’t celebrate Fourth of July without berry pie. Not only are berries the sweetest this time of year, they’re also the perfect color to celebrate Independence Day. 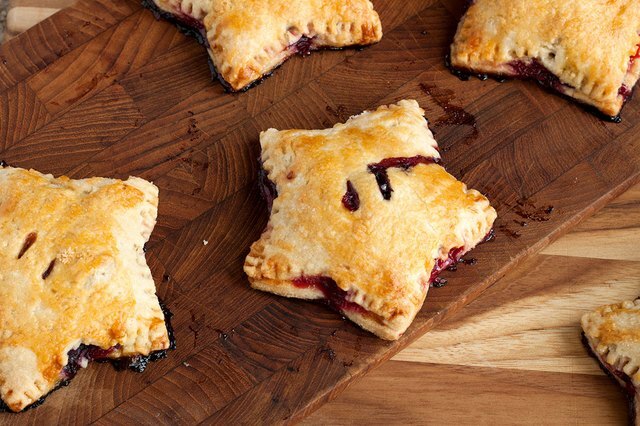 These star-shaped hand pies are a whole lot easier than their full-sized cousin -- and cuter! It's guaranteed to be the star of the party. In a food processor, pulse flour, salt and sugar. Add butter and shortening and pulse until the mixture resembles small peas. Add the ice water and pulse until evenly moistened. Turn the dough out onto a work surface and gather into a ball. Divide dough half and form two disks. Cover with plastic wrap and refrigerate for 1 hour. Note: If you don’t have a food processor, a manual dough blender works just as well. While the dough is chilling, combine berries, sugar, lemon juice, lemon zest and salt in a medium bowl. Cover with plastic wrap and refrigerate until ready to use. Preheat oven to 375F. Remove 1 dough disk from refrigerator. On a lightly floured surface, roll out dough until about 1/8" thick. 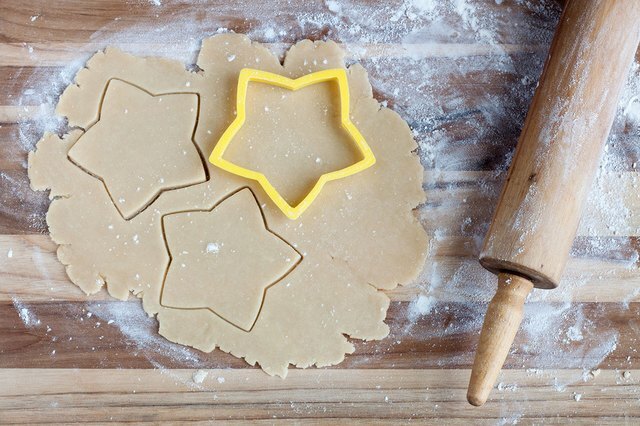 Use a cookie cutter to cut out star shapes. 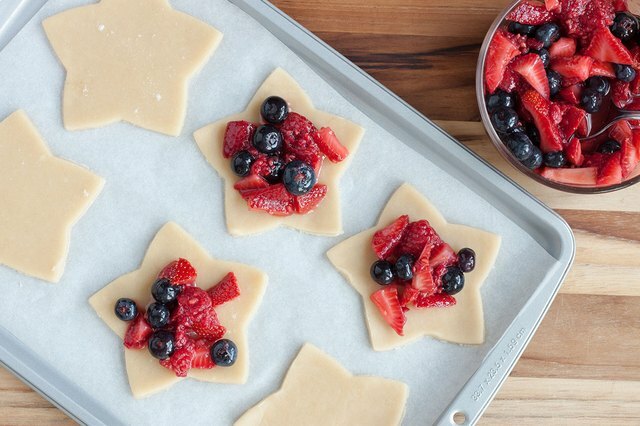 Place stars onto a parchment lined baking sheet. Repeat process until you have used all the dough. You want an even number of stars as half will be the pie tops and half, bottoms. Remove filling from refrigerator. Place a scoop of filling in the center of each pie bottom. Cover with reserved pie tops and seal by pressing edges together with a fork. In a small bowl whisk egg. Brush sealed pies with egg. Bake until berries bubble and crust is lightly browned on top, about 25 minutes. Serve with vanilla ice cream and enjoy! 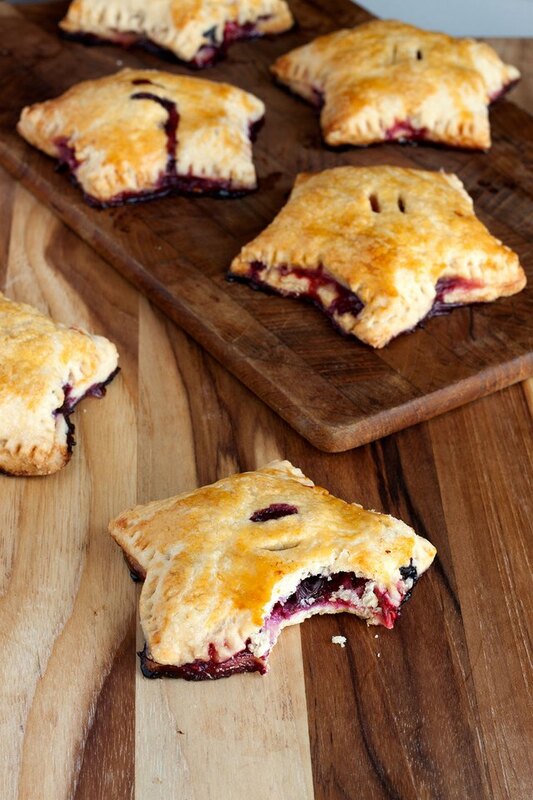 Tip: These hand pies are great on the go. Bake a batch to snack on during the parade or fireworks show!